It's hard sometimes, looking back on a pregnancy and knowing it was probably your last. 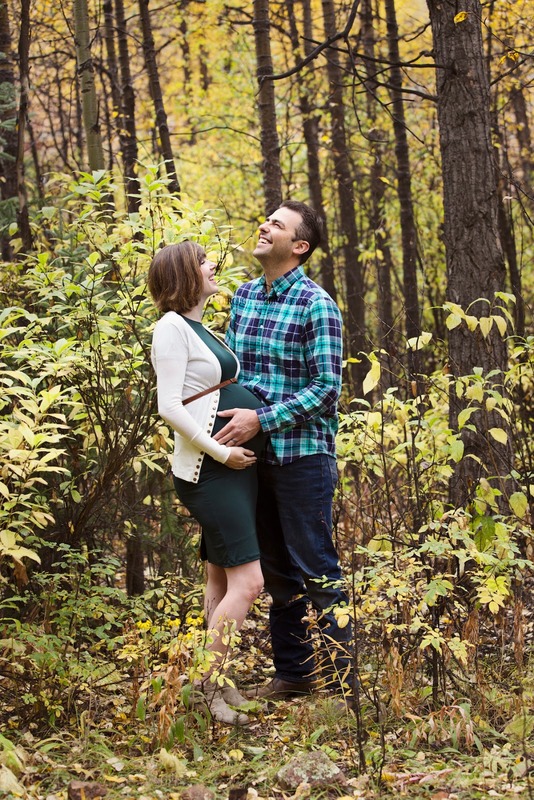 My fifth pregnancy seemed a little surreal from the start, when I was surprised by the news of it, and as my belly started to get bigger, and as she kicked her little feet against my belly. I had a hard time believing that I was really getting to do this again, grow a little life one more time. I tried to hang on to all the details so I could remember every second, but it all went by way too fast. 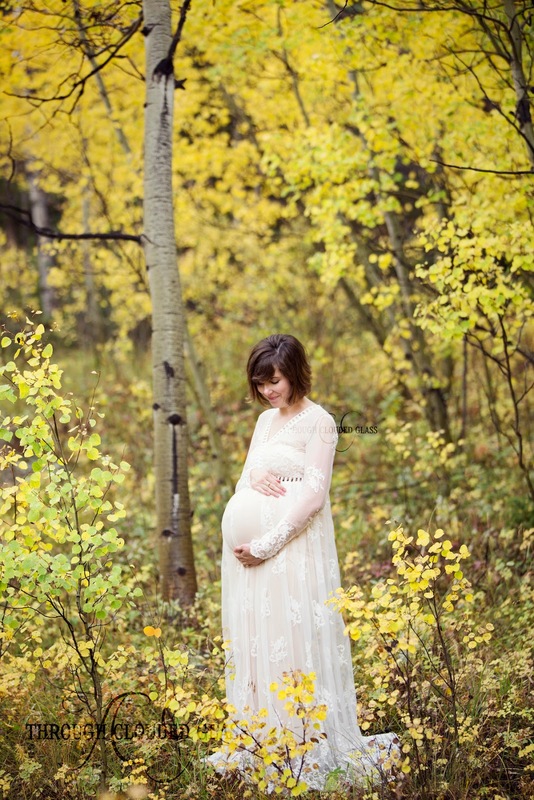 I am so grateful for the accessibility of pictures now, because as I hold my beautiful, squirming, dark-haired Georgiana Bea, I can still look back at these maternity pictures too and remember that she used to be so tiny, tucked away in my belly. This same little girl who I will get to know better and better, who I get to watch grow on the outside now - she is the same little one who grew my belly for nine months, the same one who I saw flickering on an ultrasound when she was no bigger than an aspen leaf, the same little one who turned that second line pink. What a miracle life is, and I am so thankful that the Lord worked it out so that we could have a part in it, from shaking hands holding a pregnancy test to tiny hands holding my finger to everything the future holds for my little girl. 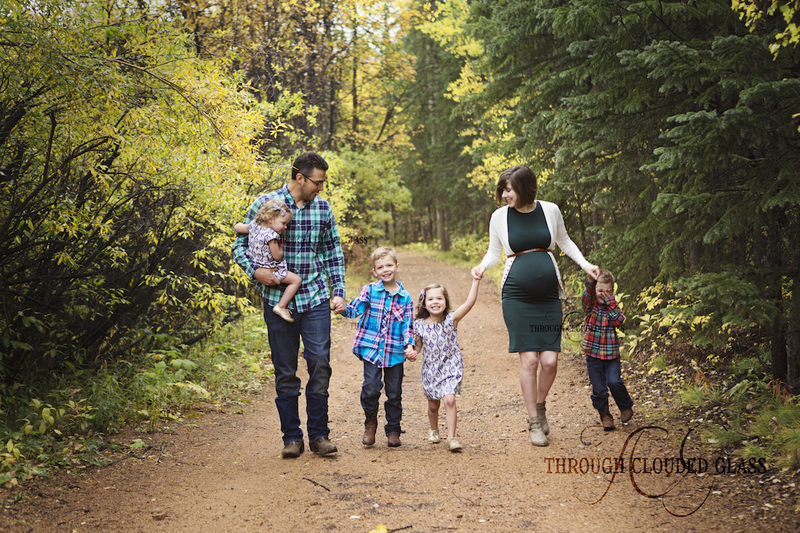 Thanks to my dear friend, Danae, for taking our maternity pictures again! 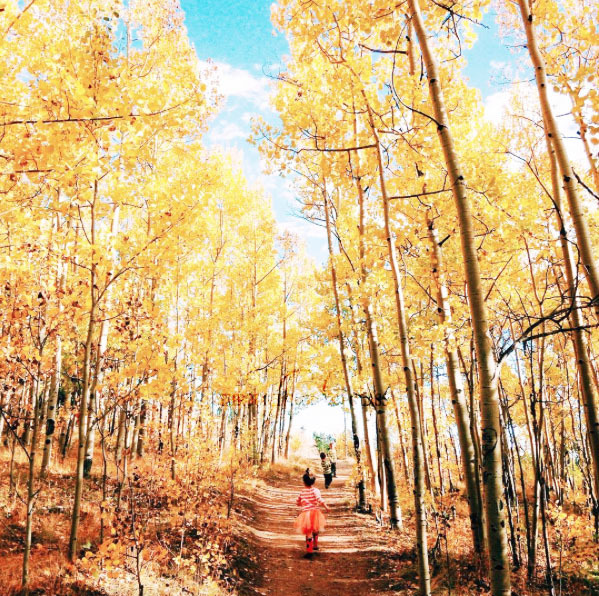 I was so excited we got to do it in the fall this time. 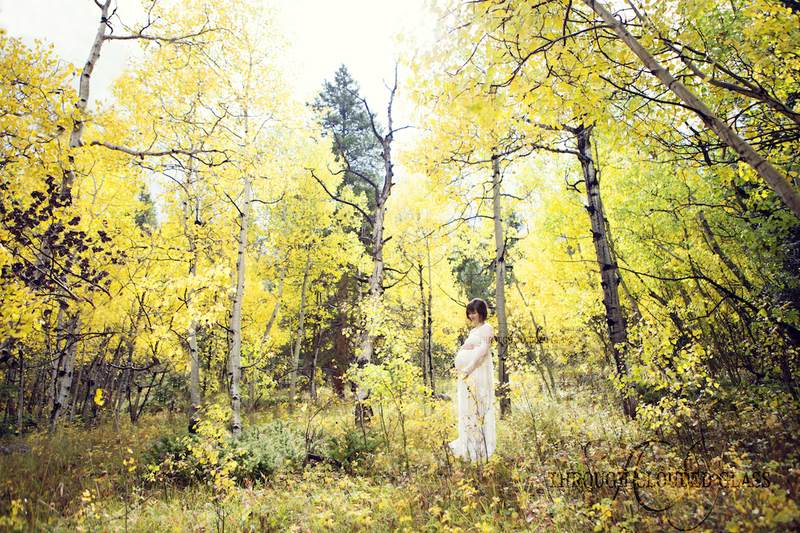 Dream maternity session during my favorite season? Check. I believe some of you follow me on Twitter, so it will be no surprise to you that I am pretty into politics. I typically find the whole thing exciting and interesting, and I love to analyze. My love for following the political process has eroded some over the past week though. I think it is starting to get frustrating or overwhelming for a lot of us. I had written this in a different way when I first published this post, but I'm trying agin because I don't think I explained myself very well the first time. Right now I see a lot of argument among the Christian community about whether it is morally right or wrong to vote for Trump. I don't know what each person's specific reasons are for wanting to avoid voting for Trump, and God knows everyone's heart, but I did want to just share where I am coming from on the matter, to possibly encourage those who may need it. The thing that I am remembering this election is that I do believe we hold some responsibility for what happens to the country as a result of how we did or didn't use our vote. The thing is, even a choice not to act has consequences. And as Christians, if the country becomes completely godless because of the church's inaction, do you think we will be rewarded for that? Do you think we can escape responsibility? I don't believe we can. Unless we are actively fighting against evil, we are complicit in it. When God judges our nation by giving us over to our own choices, don't we have some part in that judgement, in bringing the nation to this place by doing nothing when we might have tried to prevent it but remained silent? Our hands will not be clean. I have to choose, I have to take a stand for, or against, one of the two inevitable directions the country will go, because I don't think as a part of this nation we will escape moral responsibility before God for what we may have allowed. "Should Christians Vote For Donald Trump?" (Some people seem to be having trouble with the link, so I linked to a Tweet wth the link instead because clicking through that way seems to work.Click through my tweet here.Oh, technology. And just to end with two things that I think we will all agree on as sisters in Christ - first, when we stand before God's throne someday, those of us who believe in Jesus's sacrifice for us on the cross will have HIS righteousness - and that covers any way we may get it wrong in this election too. And second, no matter who wins next month, God will always be sovereign over what happens, and that will always give me comfort. It was a little over a year ago now that I sat down and actually watched one of the videos from the Center For Medical Progress. Up to that point I had just read articles about the videos, describing the callous behavior and illegal actions of Planned Parenthood officials. But for some reason, that day I decided to click open the video and watch myself. I watched an interview with an abortion worker. Then the video changed, and they were walking into a lab. And I put my hand over my eyes and peeked through every now and then. I saw a bloody tray. I saw the backs of Planned Parenthood employees as they worked. And I peeked through my fingers and felt my baby kick right under my heart as one of them proclaimed "it's a boy!". That baby boy would have been born a couple weeks after Clarice. The tears started then, rolling down my cheeks as my girl rolled over in my womb. I cried for that baby boy, whom some have named Emmett, who never had a chance to kick his mama, or cry, or laugh, or have a first birthday, or start kindergarten. I cried for that mother, who will never know the joy he might have brought into her life. I still want to throw up just thinking about it, and even though I have been pro-life as long as I've known about such things, I knew it was time to stop pretending this wasn't happening. It was time to stop forgetting about it unless it was an election year. So a few months later, on New Year's Eve, I made a secret resolution. This was the year I'd get involved. This was the year I'd do something. You'll see me talking a bit more about my pro-life beliefs on here as I get my thoughts together. 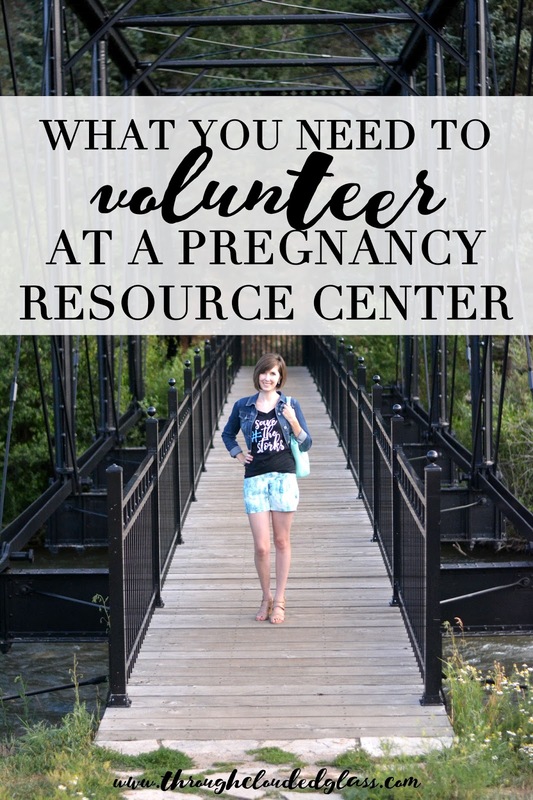 I have a post with ideas on different things you can do, including telling you a little bit more about the shirt I'm wearing (hint: donate here), but today I wanted to share one way I've tried to get involved in stopping abortion - volunteering with a pregnancy resource center. It hasn't looked like I thought it would, and I have a bit of advice for those of you who have considered volunteering yourselves. Head over to the Save The Storks blog to read about the one thing you should know before you offer to volunteer at your local pregnancy center! In case you haven't stopped to do the math, Gwendolyn and this new baby will be less than 16 months apart. I'm going to have three babies in 38 months! Thinking about the age difference has never bothered me or made me nervous. Sure, things are going to be busy around here, but I think it will be happy, joyful chaos, and I love it. I am so excited about this new baby! I am so grateful for an easy conception. I think it's perfect that my kids are all going to be so close together. The only thing that bothered me at first was that I worried I was going to get negative reactions from some people. The people who were going to ask "And how far are they going to be apart?" with an incredulous look on their faces. The people who were going to shake their heads and tell me how crazy my life was going to get. The people who were going to give me an odd look and say, "Wow, you're going to have your hands full". When I thought about that in the beginning of my pregnancy, I didn't want those reactions, because I am thrilled about this baby. The thought that other people might not share in my joy made me upset. The first few times I told someone whose reaction I wasn't sure about, I tried to beat them to the punch so they couldn't say it first. "It was a surprise!" "They'll be pretty close, so it'll be a little crazy!" With a smile on my face, trying to let them know that I was completely happy about this new blessing. Then I told one person who I was almost sure would have a negative reaction. I was really nervous about it. I said my line about it being a surprise, etc. But she smiled and looked me right in the face and said "It's a blessing." Immediately the pressure was off, and I grinned and said that it was and how happy we were. I was so relieved that my announcement to her went well, but it got me thinking. I do not have to explain this baby, as if he or she was an accident. This baby is an absolute gift from God that He chose to give me at this precise time. I am so grateful and happy about this baby. There is no reason for me to minimize that just because someone might give me snide words or a disapproving look. If someone reacts that way, they are the ones who are wrong. God creates life. Those lives have a deep meaning and purpose, no matter how long or short they may be. They are each precious and worthy of celebration. There are no accidents. I am no longer feeling the need to offer explanations for this baby before someone can react. If they don't like it, they can take it up with God, but I am excited. I've also found the perfect response to the "Wow, you have your hands full" comment. I saw a sign that said this shortly after I got pregnant, and I thought it was perfect. 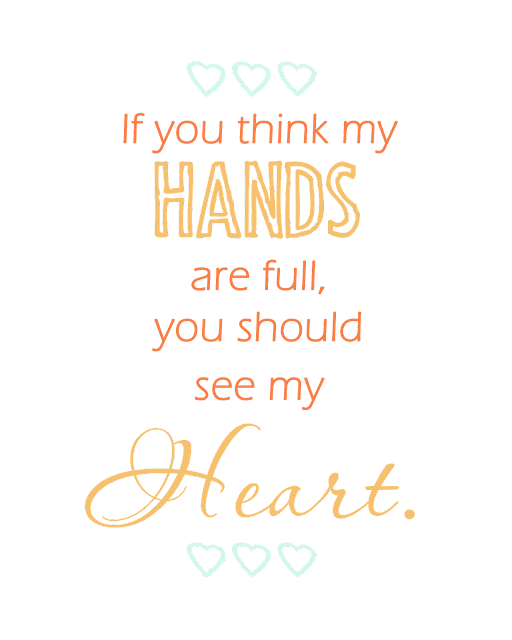 My hands might be full, but my heart will be even more full. I wouldn't have it any other way. P.S. I am happy to report that no one who knows me has given me any weird reactions. Every one of you who knows me in blogland, as well as my real life family and friends, has been so sweet and excited for me! I'm so grateful to have such a wonderful support system in my life. The only weird reactions I've gotten have been from strangers. 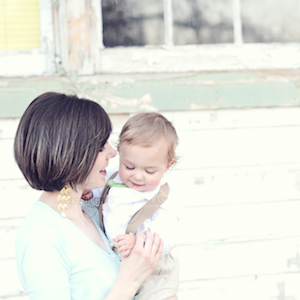 When I was about 14 weeks pregnant with Wyatt, I remember going to my doctor's office for my first 2nd trimester checkup. 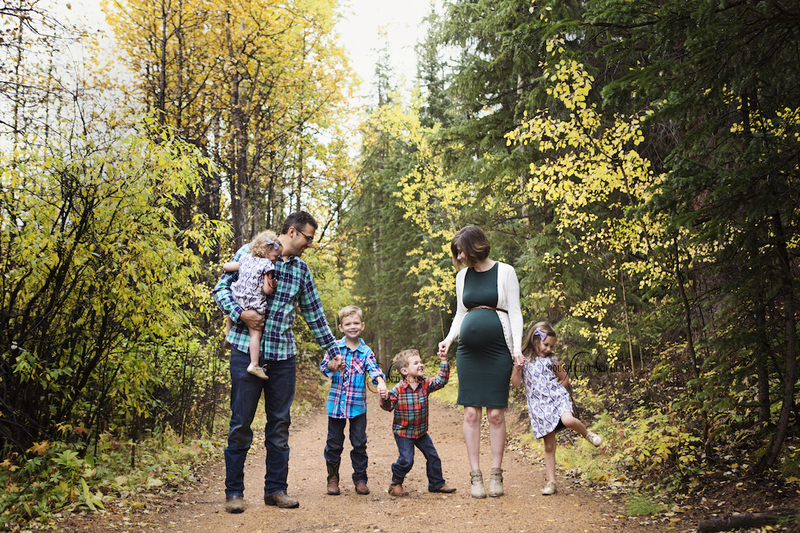 I laugh when I think back on it, because those visits seem so routine now, but I was so excited and happy to be pregnant, and I couldn't wait to hear the swish, swish of my baby's heartbeat. That day my doctor talked to me about some of the screening tests that we could do to make sure everything was okay with the baby, including one that should be done before 16 weeks to check for a possibility of Down's syndrome or birth defects. I had already kind of decided that I didn't want to bother with the screenings, especially when my doctor told me that they could usually tell on the 20 week ultrasound if there were any problems. But knowing so little about the process at the time, I asked if there was any reason it would be good to know earlier. 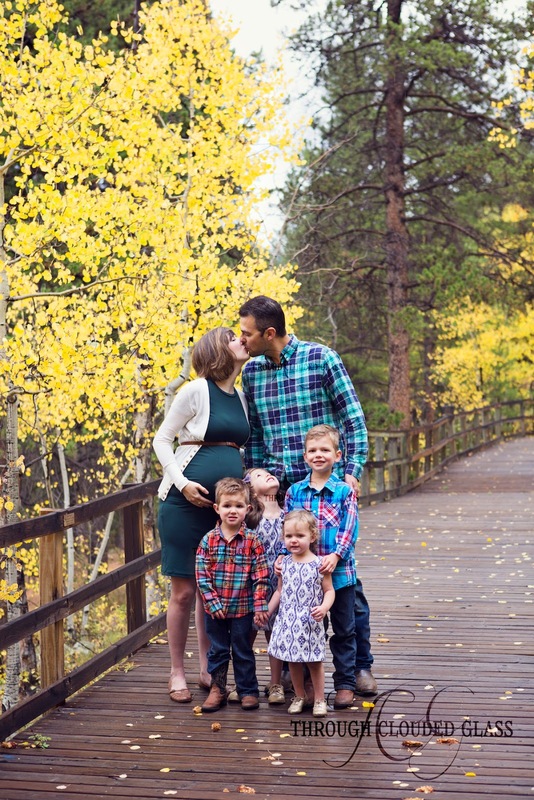 I know these days they can correct some problems while the baby is still in utero, and I was thinking they might want to know earlier for some things to make sure everything went smoothly the rest of the pregnancy. My doctor kind of paused and then stuttered over her words, saying that some women would want to know earlier so they could terminate . . . (imagine a lot of "ums" and "uhs" in there) . . .
She must have seen the look on my face, because after I said "Oh, no . . ." while shaking my head, she immediately assured me that most women they see don't choose to do that even if the test is positive for abnormalities. But in that instant, the life issue became more real to me than it ever had before. Because here I was, pregnant with my first child, enjoying every little symptom and examining my belly daily for growth . . . and I couldn't imagine that sweet life that was already so real to me being snuffed out. And it could have been, with just a word. I was pro-life before. But in that moment my heart broke like it never had before for all those babies who never had a chance. I am not bringing this up to cast judgement on women who have had abortions. I've never walked in their shoes, but goodness knows they've already been through enough. They've lost something precious that they can never get back, and I think deep down most of those women know that. My heart breaks for them. And if that's you, I pray that you've found healing and hope. I wanted to mention this because right now 40 Days for Life is happening across the country (and even internationally). 40 Days for Life is a peaceful prayer vigil, where Christians gather in front of abortion clinics to just pray for an end to abortion and for babies to be saved during the campaign. 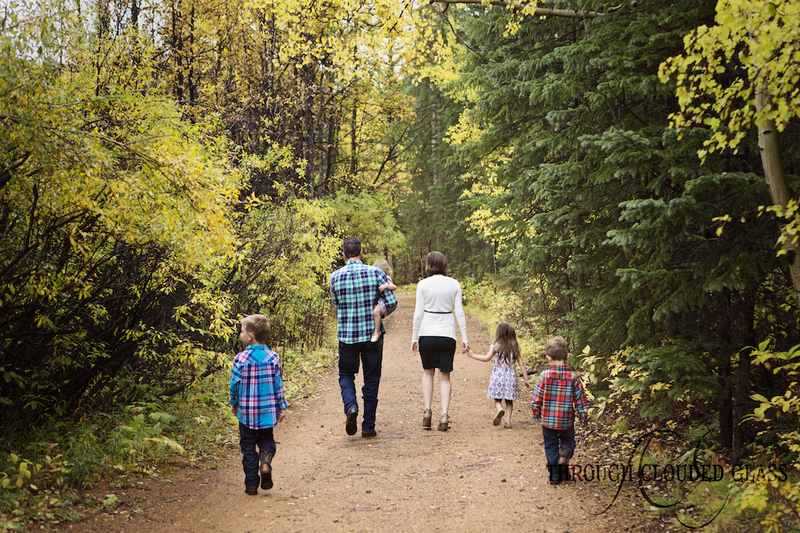 It's something I'd love to participate in some year, but for now, with two kiddos at home, I have to be satisfied with following their blog and praying right where I am. For those of you who are also pro-life, definitely check out their blog, and I'd encourage you to pray too. Pray for an end to abortion in this country. Pray for many babies to be saved over these 40 days, for wisdom for the volunteers as they try to reach these women who feel they have no other choice. And pray for the women that go through with their abortions over the next 40 days, that they would find the forgiveness, and healing, and hope that only comes with knowing Jesus. P.S. If you are curious to know why I believe in the pro-life movement, I think this podcast explains it very well, and especially if you are pro-life I'd encourage you to listen to it. It's important to know why you believe the way you do on issues like this. Before I even start this post, I should say that I am in favor of vaccines. There are a lot of diseases that people still die from all over the world that are virtually eradicated here because of vaccines. We are getting Wyatt vaccinated (though we are also following an alternate vaccine schedule). This post is for those who have decided to vaccinate their children – if you are not getting your kids vaccinated, this information doesn’t really apply for you. Last week my blog friend Katy directed me toward some information about certain vaccines that I was not aware of, and I feel like I need to pass it on. First, a little bit about vaccines (I’m sure you all know this already, but stick with me). Vaccines contain a deadened form of pathogens that cause certain illnesses. When your body is exposed to these pathogen, it will create antibodies against the pathogen. Because the pathogen is already weakened or dead, it won’t cause you to contract the disease through the vaccine, but if you are ever exposed to the real thing, your body will already have everything it needs to fight it off. Now, for diseases caused by bacteria, they can just obtain the bacteria by culturing them directly, but for diseases caused by viruses it’s a little more complicated. Viruses do not reproduce on their own – they need to grow inside living cells in order to reproduce. So in order to produce a vaccine for viral diseases, they need living cells to be able to grow the virus and produce the vaccine. Typically they use animal cells, like cells from chick embryos or monkey kidneys. But what I wasn’t aware of is that they also sometimes use cells from cell lines that originally came from aborted human babies. Please read this article for a more detailed explanation and for a list of vaccine brands that use fetal cells, as well as a list of alternative vaccine brands that do not use fetal cells: Vaccines, Abortion, and Fetal Tissue, Right To Life Michigan. I am pro-life. I believe life begins from the moment that the sperm and egg meet, and it is sacred in whatever stage of development. It is horrifying to me that the medical community would take advantage of the victims of something as awful as abortion for research purposes. Even worse are the companies that use aborted children to test food products on, which you can read about here and here. To say I was disturbed would be an understatement. I did some of my own research into the subject, and the more I researched the more I realized how wide-spread this kind of experimentation is. It’s enough to make me just wish I didn’t know. I feel like the life issue is my issue, something I can get passionate about. And maybe I was naïve before, but I never realized how much this kind of thing goes on. It’s so hard to care so much sometimes. Thankfully I called my doctor’s office to find out what brands of vaccines they use, and they do use the non-fetal-cell alternatives where possible. Unfortunately there are a few vaccines that do not have an FDA-approved alternative, and therefore there is no non-fetal-cell alternative for them in the US (the Rubella (MMR), Varicella (chickenpox), and Hep A vaccines do not have ethical alternatives in the US). I’m going to be honest and say that I’m still undecided on what to do about the MMR vaccine since there is no other alternative in the United States, but Derek and I will seek out non-fetal-cell alternatives wherever possible. I’ve just been spending the past week praying about what to do on this issue. I have nothing more to say about this right now (to be honest even thinking about it stresses me out), but I wanted to give you all the information so that you can find the non-fetal-cell vaccines for your kids where possible, and so that you can make up your own mind about the vaccines that do not have non-fetal alternatives. I hesitate to post this, because I know how much this information has tormented me, but I felt you all had a right to know. To sign a petition for manufacturers to produce ethical vaccines, click here. Senator Ralph Shortey introduced a bill in an attempt to ban fetal-cell research in developing food products earlier this year, and he received a lot of grief over it. To send him a note of support you can click here, especially if you live in Oklahoma. Just a few things this Friday . . .
For all of you who are looking for the next installment of my homeschooling story, I decided not to post it today. I know I’ve been doing some pretty involved posts this week, so I figured we all needed a bit of a break going into the weekend. 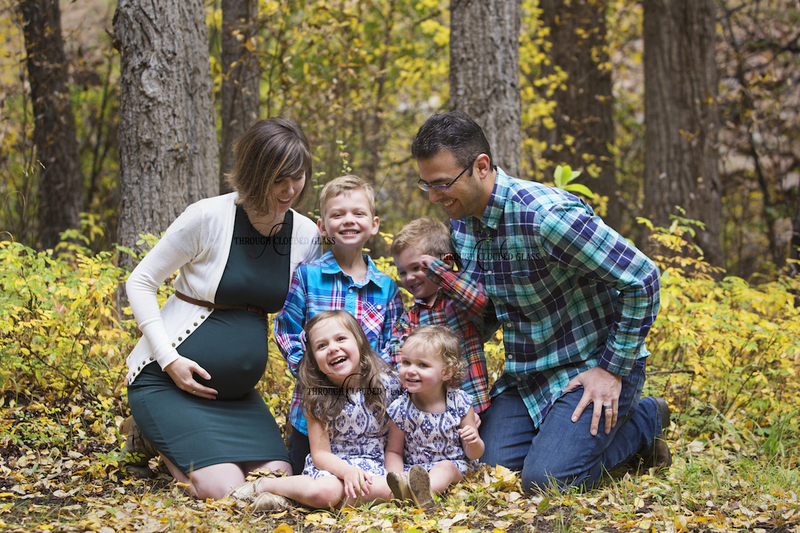 If you haven’t checked out the Urechek’s missionary story, please go check that out! The next homeschooling post will be up next week. Okay, I take that back – one more serious thing. Were you all aware that 40 Days For Life is going on right now? It’s a peaceful vigil going on in front of abortion clinics across the country, where pro-life people are gathering to pray for an end to abortion. I would love to participate in this someday, but since I can’t this year (it would just be too hard with a one year old), I’ve been keeping up with the 40 Days For Life blog. If you are pro-life, you must check this blog out! They post encouraging thoughts and stories for each day of the vigil, and it’s amazing how many babies have already been saved through this event. The posts are hopeful, which is something I crave when it comes to this topic – abortion is such a tragedy, and to hear of lives that are spared from that is so encouraging. I feel so productive this week. -I started and finished a book within a couple days. I can’t even tell you how long it’s been since I’ve done that. . .
-I made lemon truffles that I found on Pinterest (they did not turn out, and I’m not sure what went wrong) . . .
-I painted our upstairs spare bedroom, cleaned it out, re-organized and decorated it . . .
-I cleaned out the downstairs closet so that we can now move Harvey’s kennel down there (instead of leaving it in my newly fabulous spare room) . . .
-I finally caught up on laundry, ironed a few of Derek’s work shirts . . .
- And I took my sister out to get her nails done before the wedding this Saturday. All of this in between taking care of my boy and hanging out with my hubby in the evenings! I kind of feel like Superwoman this week. That is, I felt like Superwoman until I got home from our girl’s day yesterday and crashed on the couch. Then I made fudge, watched and couple episodes of Full House, and just played with Wyatt a bit. Oh, and I wrote this post. I felt like I needed to go to bed, and it was only 5:00 PM. Wyatt is pulling himself up on everything, and he started walking along furniture! In the last couple weeks he has also finally decided that baths aren’t so bad. I think it’s because we switched him to the big tub. He still fusses a bit when we first put him in, but then he starts splashing and laughing . . . it’s so cute! As you can tell in the picture, he’s also been doing this funny tongue-roll thing. Have I mentioned that I have the cutest little guy in the world? So true. I’m pretty sure mine really is the cutest though. But you all are allowed to think yours are the cutest too . . . as it should be! That’s pretty much it. I have some other things going on that are stressing me out a little, and that I’d rather not go into on this blog. Just say a little prayer for me if you think of it? I only mention number six because I know you all will say a prayer for me – my blog readers are all so supportive! I always hear about these nasty comments that other people get on their blogs, but I’ve honestly never got a nasty comment on here – and that’s because all of you are so great! 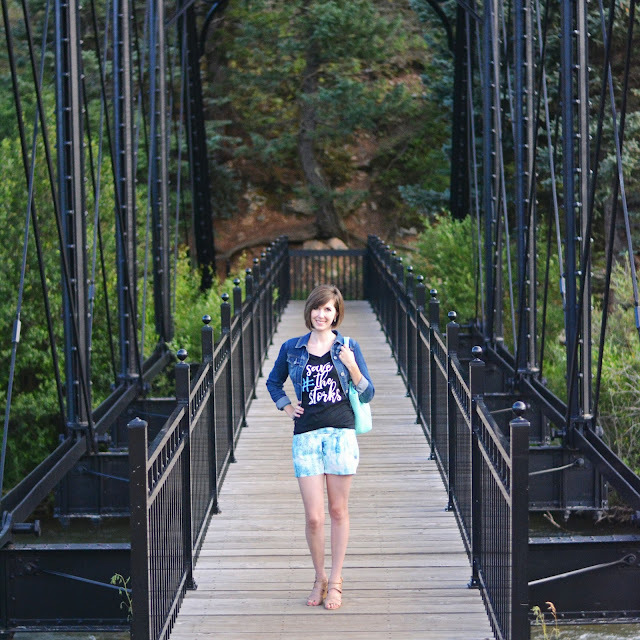 Glad to be navigating this crazy blog world with all of you on board! Okay, that’s really it now. 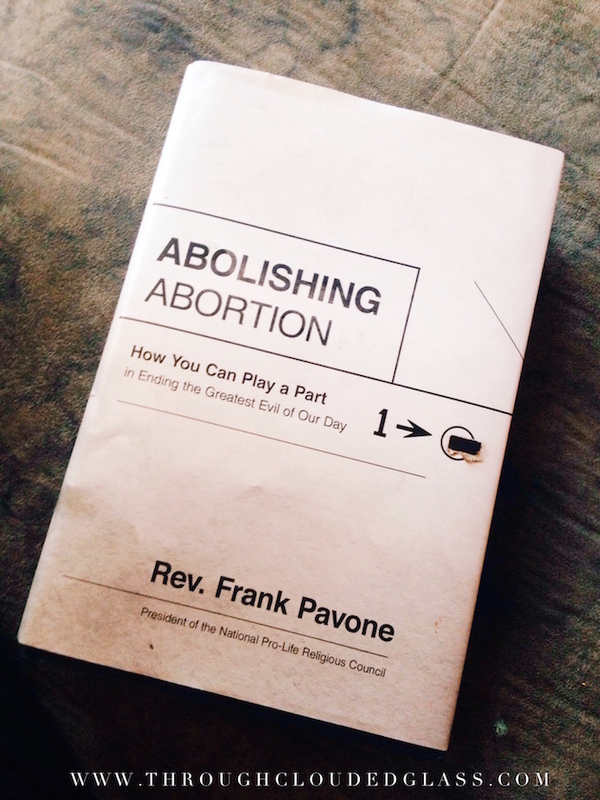 This morning I woke up and opened my Google reader for a little blog reading to start my day, and I came across this post on Katy's blog on the alternatives to abortion and support that pregnancy resource centers present. 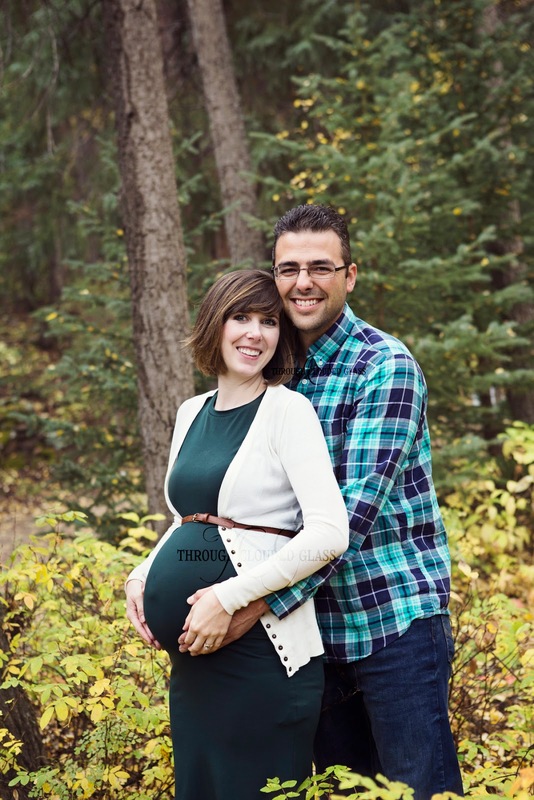 She and her husband participated in the Walk For Life to support their local pregnancy center this year, and someone had left her a (anonymous) comment on a previous post about how they think that pregnancy centers help people to choose life for their babies and then drop them like a hot potato with no follow-up care. Katy wrote a very mature and well thought-out response showing how many resources these pregnancy centers do offer to mothers who need them. I hope you'll take time to read it and give her a little encouragement for speaking out on behalf of unborn babies! The pro-life movement has always been close to my heart, but especially since having my own baby, and seeing him on the ultrasound, watching him grow - it breaks my heart to think of these babies that never get a chance to live, and to think of the pain of the women who I know regret the decision to end their babies' lives. I hope you'll also consider giving a donation to help your local pregnancy center in light of the Walk for Life events, and if you want to you can donate at Katy and Jason's fundraising page as well - even if it's just five bucks, I know they'd appreciate it! You may have missed out on the Walk for Life this year (like me), but you can still make a difference.